Mario Ovsenjak. General Manager. Hotel Gotham. We are proud to have photographed so many wonderful places for our many clients. If you would like to find out more about how we help you reach bigger audiences through inspirational hotel and hospitality photography or 360 degree interior property tours, then please give us a call. Rachel Mee. Owner. Burlton Cottages. James Norton. Marketing Director. Toad Hall Cottages. “Our photoshoots with ACT Studios in the last 5 months have been very enjoyable. A collaborative approach and the high standard, ACT Studios have offered us with a friendly customer service has been excellent. Marcin our photographer, was organised, friendly and understood our requirements. We made sure that everything was ready for him before he arrived so that we had a smooth day. The cottages were styled, food was prepped and we had checked the long term weather forecast. The 3D tours that we have made for each of our cottages have been a real selling point for us as well as the new photos for our brand new website. The photos are aspirational and beautifully styled. They convey the message of our brand as a rural business with all the modern luxuries one would expect for families, large groups, accessible guests and pets. A brand new luxury hotel set in one of the Manchester’s grandest listed buildings, boasting 60 bedrooms, a restaurant, and a rooftop members’ bar and club. 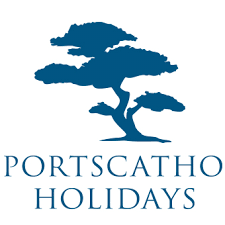 One of Cornwall’s leading accredited holiday cottage agencies offering properties in St Mawes. Coastal Cottages of Pembrokeshire, the leading agency in Pembrokeshire for 30+ years and are always a pleasure to work with. They have some fabulous properties in amazing locations. Family-run, award-winning holiday cottages throughout the South West, since 1988. Cottages across Devon, Dorset, Cornwall, New Forest and further. A friendly local holiday home rental agency based in Whitby. A luxury boutique hotel in York part of the Hotel Indigo brand. A stunning hotel and conference venue in Southampton, Hampshire. The leading international hotel design website, for interior designers, architects, hoteliers and industry suppliers. The home of the Dukes of Richmond for more than three centuries. Would you like a hand with your visual content? Talk to us about how our interiors photography can help grow your business.